Arthur Newell Talbot was born October 21, 1857 at Cortland, Illinois, a village about 55 miles west of Chicago. His early life was lived under pioneer conditions among the sturdy people who were developing new homes in a prairie land. His early education was in the school in Cortland, and in the high school at Sycamore. After completing his high school course he taught at a country district school for two years. In 1877 he entered the University of Illinois, then known as the Illinois Industrial University, to study civil engineering. Here he came in contact with Ira Osborne Baker who had begun his long career as a teacher of civil engineering three years earlier and was already beginning to attract attention. Talbot was a brilliant student; indeed his scholastic average remained the record for many years. However, he did not devote all of his time and energy to study but was active in extracurricular activities. He was secretary, vice president, and president of the Philomathean Literary Society; associate editor of the Illini delegate to the Interstate Oratorical Association; class essayist; a leading officer in the student government; and the ranking officer in the Cadet Corps. In September 1885, he returned to the University of Illinois as assistant professor of engineering and mathematics and taught a wide range of subjects, which at different times included mathematics, surveying, engineering drawing, contracts and specifications, roads and pavements, railroad engineering, mechanics and materials, hydraulics, tunneling and explosives, and water supply and sewerage. In 1890, his title was made Professor of Municipal and Sanitary Engineering, in charge of Theoretical and Applied Mechanics. After the era of expansion in engineering schools began, mechanics and engineering materials absorbed his attention even more than sanitary engineering, and without a change in title the emphasis of his work continued to be placed on mechanics and materials. Before the turn of the century, Talbot made many contributions to the engineering profession in a number of fields. A small treatise on a very flexible method for laying out easement curves at the ends of circular curves (first described by him in 1891) was published in 1899 as “The Railway Transition Spiral” and has gone through several editions and has been used by many railroads. His pioneer work in sewage treatment by means of septic tanks later made it possible for municipalities to contest certain patent claims on methods and principles of sewage disposal. During this period his investigations provided methods for the standardization of testing paving brick for strength and abrasion. Professor Talbot was active and influential in the formation of the Engineering Experiment Station, and under his leadership it was an immediate success. A comprehensive and thorough investigation on reinforced concrete, conducted and directed by him, started in 1903 and continued for many years on reinforced concrete beams, slabs, columns, footings, pipes, frames, and buildings. This experimental work became a principal source of the early knowledge on which the properties and requirements for the design of reinforced concrete structures were based by engineers and engineering organizations and on which principles and methods of practice were formulated. The conception of relations existing between the strength of a concrete mixture and items involving the absolute volume of the cement, the fine and coarse aggregate, and the voids in the mixture, as well as the so-called relative water content of the mixture, put forth in a paper in 1921, and in a later bulletin, has proved useful to concrete engineers. Tests of stone, brick and concrete, investigation of steel columns and timber stringers, and a variety of other experimental and analytical work have also added to engineering knowledge. A notable piece of research that Dr. Talbot directed since 1914 was the investigation of railroad track, commonly called “Stresses in Railroad Track.” This investigation has been conducted with a view of obtaining definite and authoritative information on the properties, mode of action, and resistances developed in the various parts of the track structure (rail, ties, ballast, and roadbed) under the application of locomotives and cars moving at various speeds. At the time the work was begun, comparatively little of a scientific nature was known of the stresses in rail and other parts of the track or of the effect on the track of the many variations in action of the rolling stock in its operation. This research project produced reliable knowledge on the interrelation between track and rolling stock and contributed to a more rational basis for the design and construction of the track structure. It has been characterized as one of the most significant contributions to the scientific knowledge of railroads ever made. Doctor Talbot exercised a far-reaching influence on engineering developments through committee activity in engineering societies. 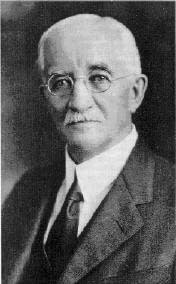 Taking a leading part in the work of the first joint committee on Concrete and Reinforced Concrete (1904-1916) as a representative of the American Society of Civil Engineers, he was influential in formulating principles and methods of design based on the tests he had made and upon other data and analyses. A chairman of the sub-committee on design, he formulated and advocated many of the views that were adopted by the committee. The report of this committee exercised a marked influence, among engineers and architects, on the ideas and practices in engineering design and on building regulations, in the pioneer period of reinforced concrete construction. Most of the fundamentals of design then put forth are still accepted. The tests of reinforced concrete made at the Illinois laboratory were widely used by engineering schools and thus the information spread even more rapidly to engineering offices. Doctor Talbot attained high rank among engineering teachers and was influential in the Society for the Promotion of Engineering Education (now the American Society for Engineering Education) since its formation in 1893, holding various offices including that of president. He was prominent in the work of the American Society of Civil Engineering, serving on its research committee and on other committees and on its Board of Direction; he was president of that society in 1918. He was president of the American Society for Testing and Materials in 1913-1914. * Information from Prof. James Phillips, Theoretical and Applied Mechanics, University of Illinois.